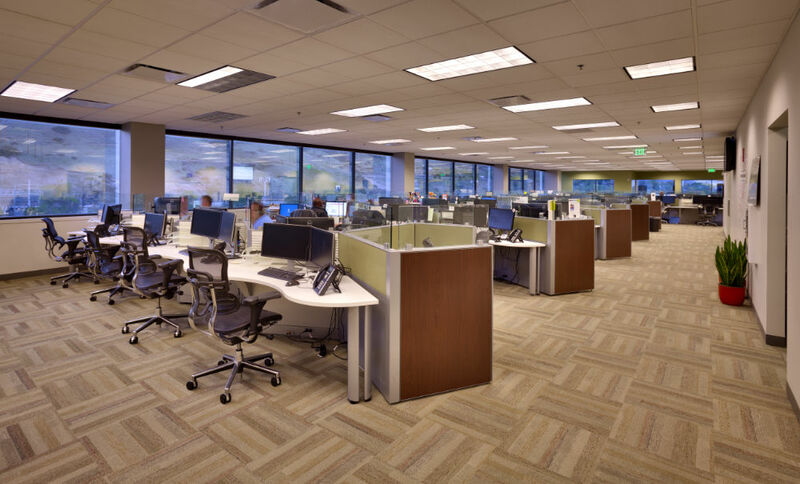 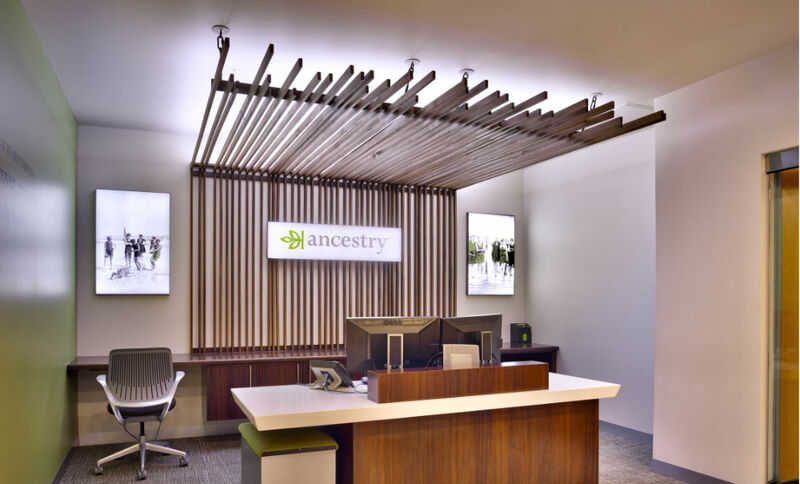 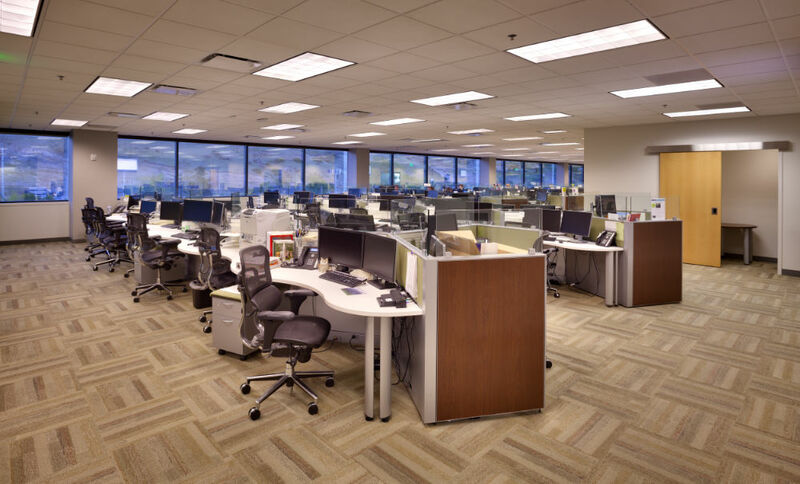 Curtis Miner Architecture worked with Ancestry.com to design a new office space and call center. 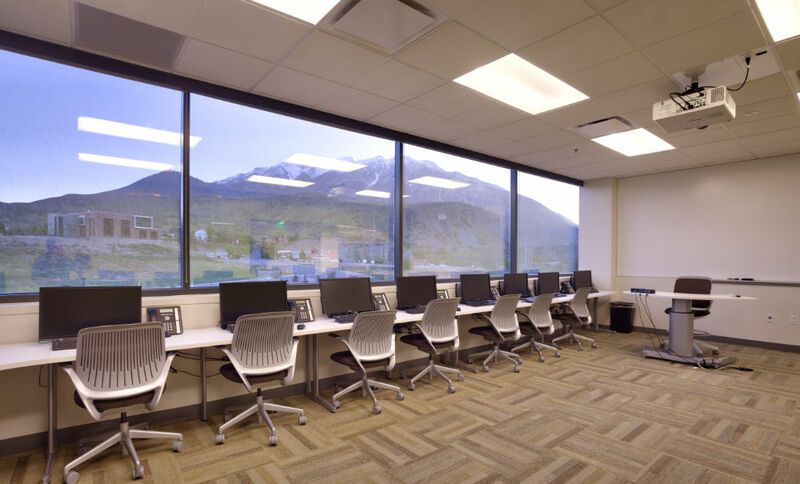 The new space offers approximately 250 workstations in an open work area environment. 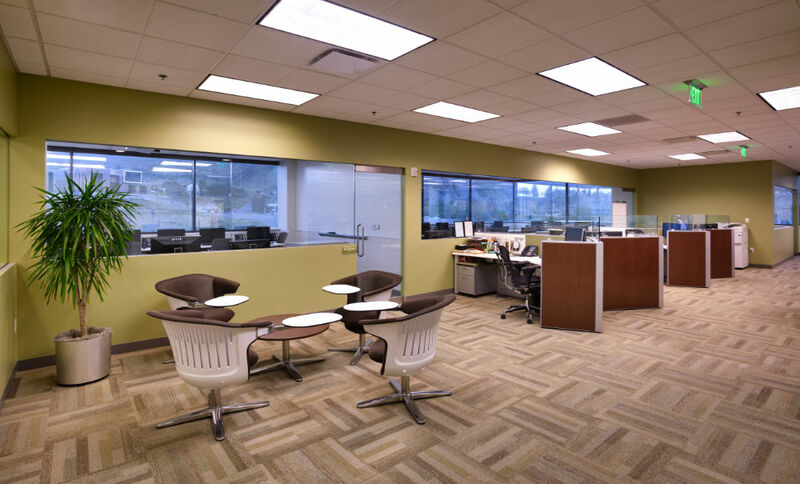 A key strategy in the design was to maximize natural daylight into the work areas and maintain a high level of openness and transparency. 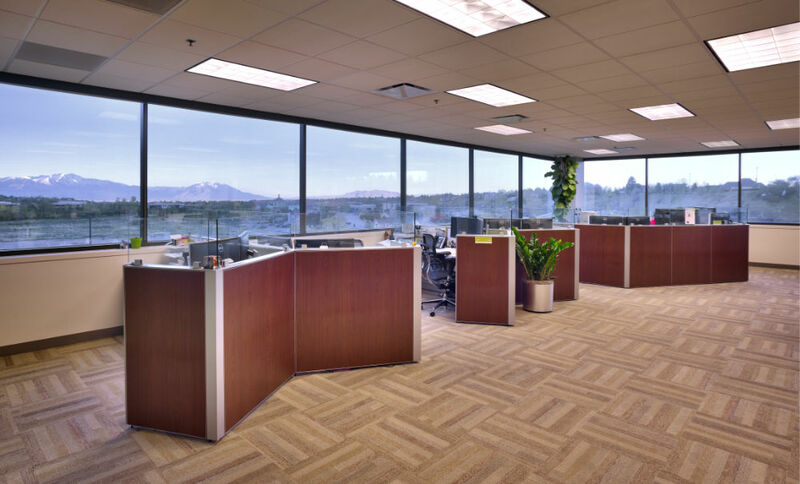 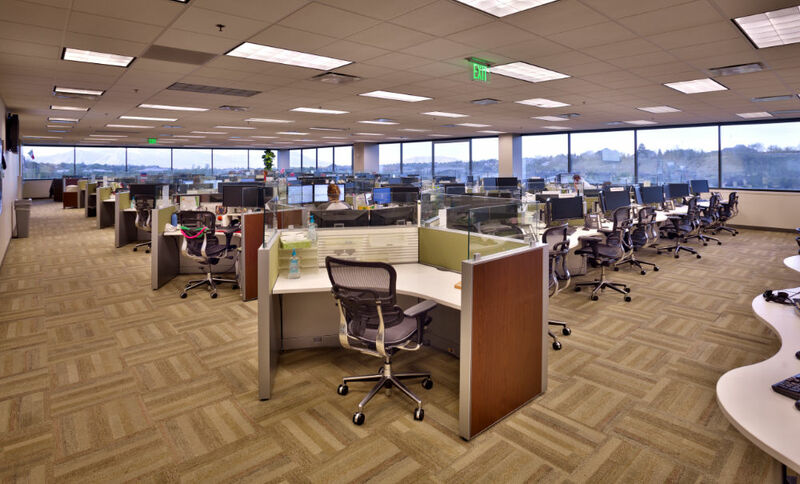 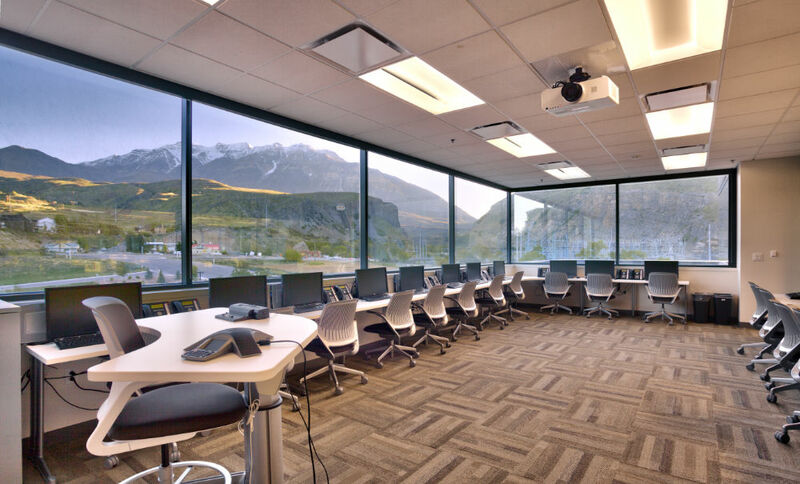 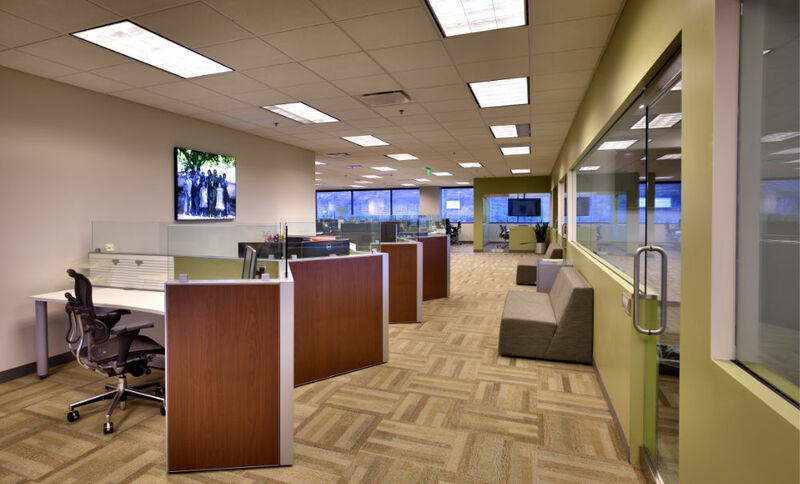 Offices and conference rooms were designed with glass panels on the upper portion of the partition walls to maintain the open feel of the office environment. 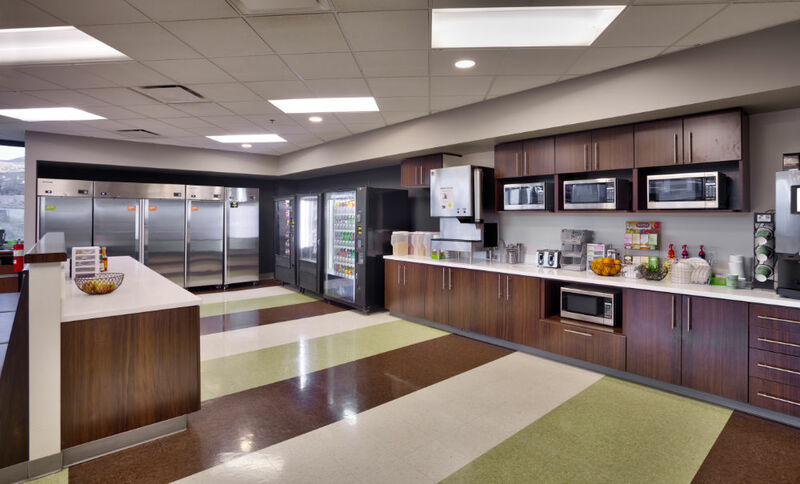 Additional detail was given to employee amenities and corporate culture. 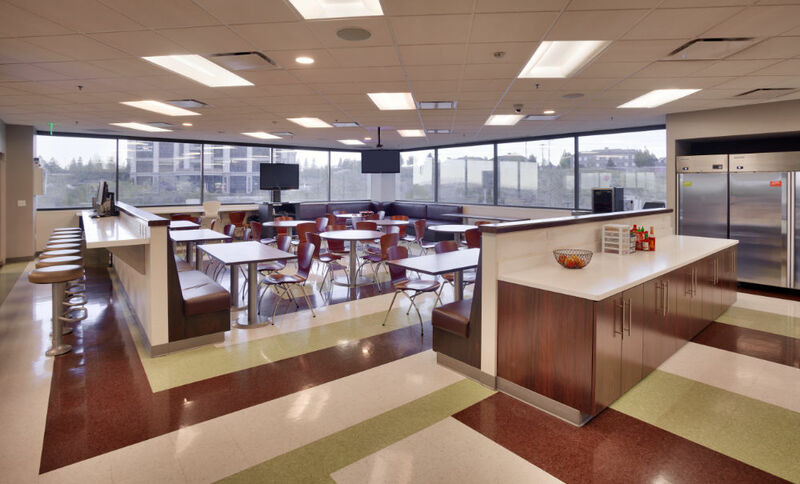 The break room offers lounge seating, generous food prep areas and a gaming console. 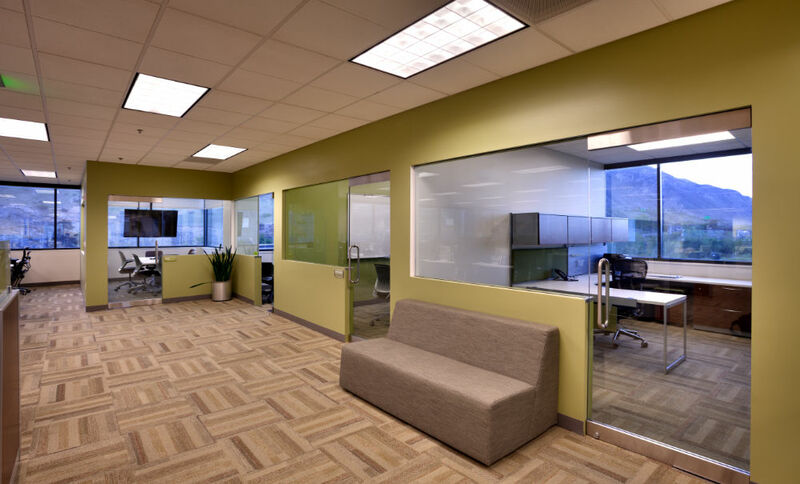 The open office area boasts lounge seating and collaboration spaces. 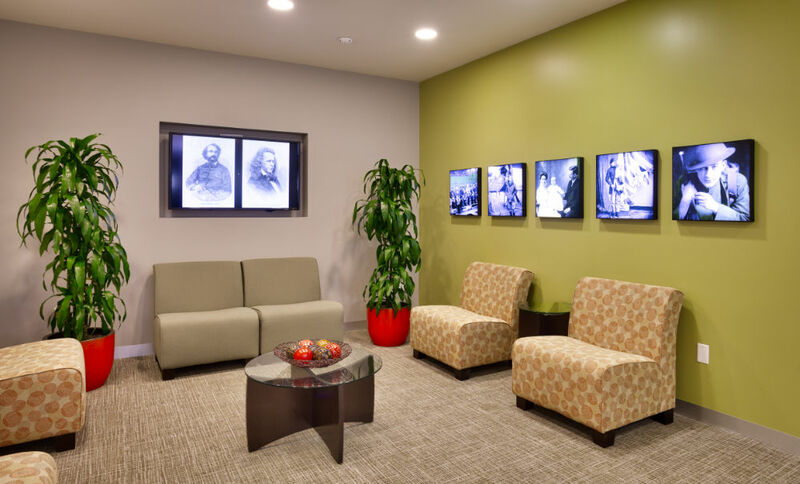 Back lit art images spread throughout the office areas accentuate the nature of their business.